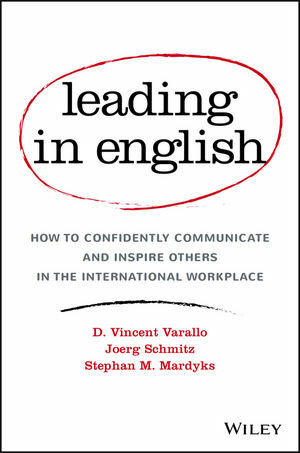 Leading in English provides a valuable resource for more effective international business communication. Whether you're a non-native English speaker working in English every day, or a native speaker working with non-native speakers, this book levels the playing field with a host of insights and tips using real-time examples. Through shared experiences and an engaging narrative, you'll gain confidence as you build the skills you need to communicate more effectively in the workplace. Impart information, relate to coworkers, or just have a friendly chatthis book helps remove uncertainty and streamline interactions. Whether language is a small stumbling block or a large hurdle in your workplace, this book can help you overcome the issues and be happier, more confident, and more effective at your job.